The afternoon ceremony at Aberdeen University was particularly poignant for many following the death of an academic who was due to receive an honorary degree just days before his special event. Professor Russell Botman, a “greatly respected” figurehead at one of South Africa’s leading universities, died on June 27 aged 60. Yesterday, the man described by Pro-Chancellor, Professor Iain Torrance, as one of the “most important younger leaders of his country” was honoured posthumously for his integrity, leadership and contribution to higher education. 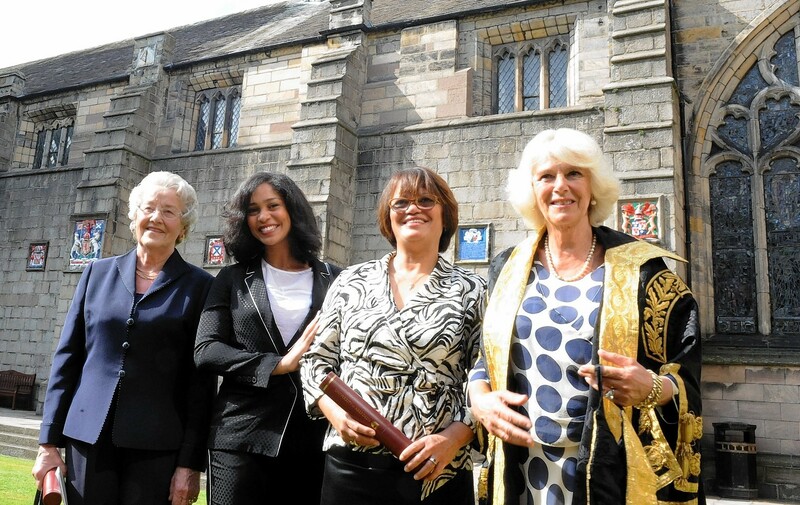 In a brave move, his wife Beryl, who travelled to the north-east from South Africa with their daughter Roxanne, picked up his degree of Doctor of Laws on stage from the Duchess of Rothesay and even read out the touching speech he had prepared. “I stand here with mixed emotions, as you can imagine,” she said. “Having just lost my husband I am filled with sadness, but I am also immensely proud of his many achievements. “He was an activist, a peacemaker, a theologian, an academic and a thought leader of note – and a great husband and father too. She told the law graduates in attendance that her husband wanted them to use their degrees to become “champions of hope”. As well as being rector and vice-chancellor of South Africa’s Stellenbosch University, Prof Botman was a former president of the South African Council of Churches and published widely on human rights, reconciliation, human dignity and social justice. Archbishop Emeritus Desmond Tutu praised him for being a “precocious and courageous young church leader” who emerged in the struggle against apartheid “to stir up older church leaders”. Dr Alice Prochaska was also awarded a degree of Doctor of Laws yesterday. The historian, librarian and “shaper of public policy” was previously drafted in to help decide on the architect to create Aberdeen University’s new library. Ms Prochaska, who has helped shape academia across a wide range of topics in both Britain and America, travelled from Oxford to pick up her award and said she could not wait to visit the building for herself.